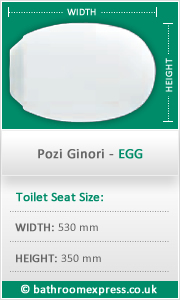 For use with the Pozzi Ginori, Egg, wall hung WC (pictured below). Please note: This product does not come with the WC. It is also a "Special Order" item.